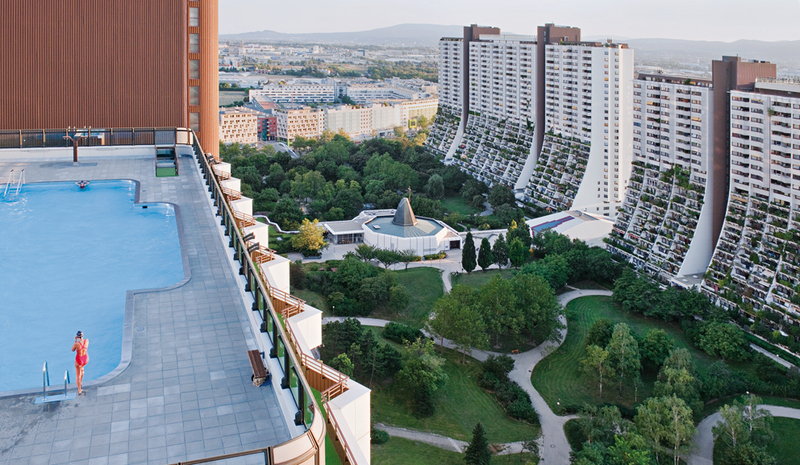 Architect Harry Glück has realized a total of 18,000 apartments, of which 16,000 are in Vienna alone. Pretty impressive figures. 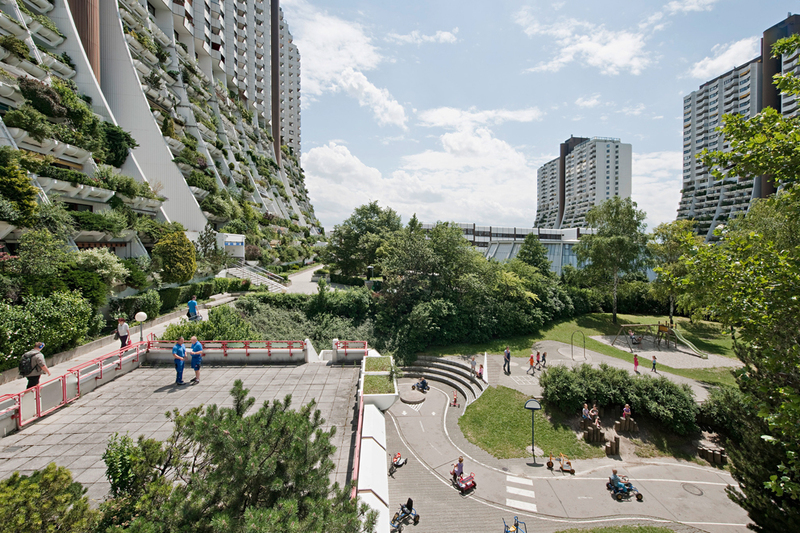 One of his best-known projects is the Alt-Erlaa housing estate in the south of Vienna, which boasts 3,181 dwellings. It consists of three high-rise blocks, each almost 300 meters long and 94 meters high. 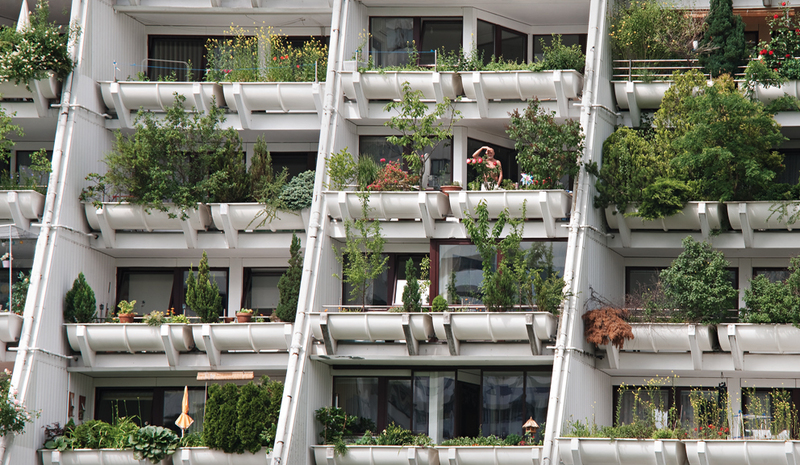 When faced with the huge blocks resemble hanging gardens thanks to their extensive balconies and the tubs of plants on them, the immense range of recreational offerings, the green and car-free outdoor areas, you could be forgiven thinking you were in a hotel, not in a high-density housing estate. There are pools on the roof and indoor swimming baths, saunas, fitness clubs, communal areas, hobby spaces and club rooms, kindergartens, schools – and Alt-Erlaa even has its own public transportation connection. Back then, like today, Glück’s complex was a project that was quite unprecedented in terms of scale and range of services. And although the debate on affordable, socially balanced and quality living space is just gaining momentum again, today subsidized welfare housing such as in Alt-Erlaa is quite inconceivable. Yet it is worth taking a glance back at recent construction history, as what is currently being realized in cities up and down the country could hardly be considered the be-all and end-all of things. A look at Frankfurt’s new Europaviertel suffices to understand why this is the case: dense dwellings in blocks that run through to the sidewalk, optimized investor projects, and cheap. On the outside they may attempt to ape a district in the Wilhelminian era, but fail given the dimensions of the volumes, and when it comes to their ground plans they are overly simplistic and inflexible. It is almost as if the architect and property developers had absolutely no inkling as to what people’s needs are and what they expect of living spaces – floor-to-ceiling “French” windows, rounded balconies and pseudo-Classicist architecture in the passivhaus standard certainly do not provide the answers, let alone new ideas. A few figures can help here to show how things are in Germany at present. Even if the population contracts by 4.5 percent by 2025, the German Federal Institute for Building, Urban and Spatial Research (BBSR) expects 560,000 new households in west Germany. At the same time, east Germany will see figures drop by 620,000 households. In total, the BBSR expects an annual new-build requirement of 183,000 – 265,000 apartments in the next decade – and these are calculations made before the current immigration wave. The single largest challenges will be the growing need for housing for singles and of course affordable apartments in the core cities. 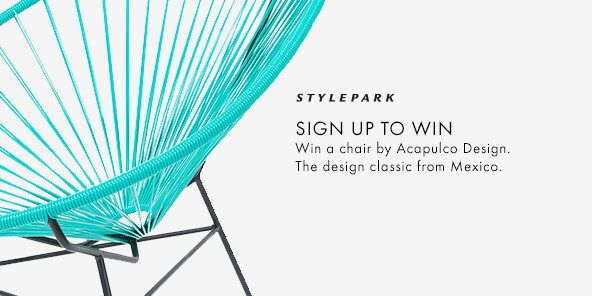 Which invariably provokes the question: How do we want to coexist in cities – and how can we? What residential standards do we wish to retain and which of them should we part company with, if rents start to soar. The latter trend is no doubt fueled by the housing shortage that has arisen over the years, when, despite a minimum requirement of 183,000 new apartments a year, far less were built each year; in 2009, for example, the shortfall was more than 30,000. Precisely in Germany, where 54 percent of the population rent accommodation (by way of comparison, the figure is 14 percent in Spain), two or three-bedroom apartments are becoming ever less affordable for people in appealing inner-city locations, but even one-bedroom flats are now hard to come by at a fair price. In this situation it bears looking closely at the buildings designed by architect Harry Glück – and thus also at the book published by Müry Salzmann and edited by Reinhard Seiß: “Harry Glück. Wohnbauten”. The volume woos the reader with impressive photographs of Glück’s buildings, although the focus is not on the architectural details, but on everyday situations and on inhabiting the architecture. 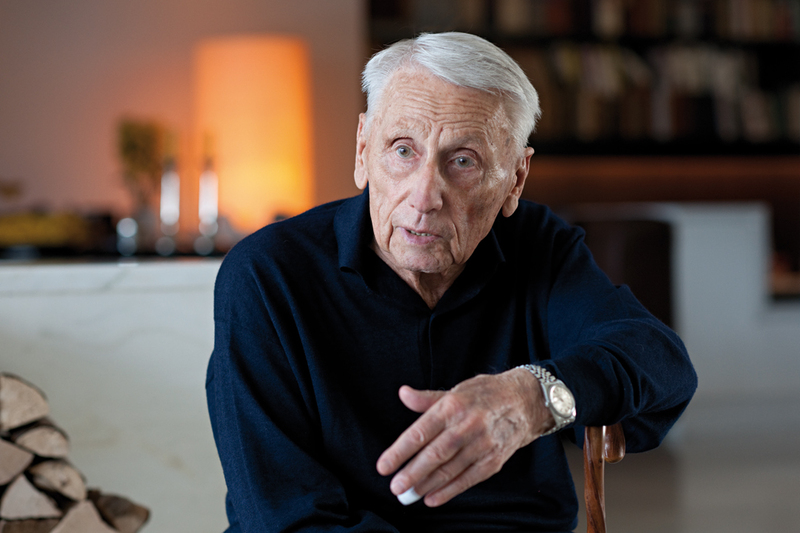 Countless essays by writers such as urban researcher Robert Temel, architect Christian Kühn and ethnologist Johanna Förster shed light on Harry Glück’s projects and ideas from a variety of perspectives. And an inhabitant is among them. It is quite surprising how little the talk is of the architecture per se and how intensively the discussion focuses on housing construction and the conditions for it. The authors themselves all recognize that Glück’s buildings, be they high-rises or dense flat structures, have been highly economic. Instead of elaborate detailing or expensive materials, Glück usually opted for prefabricated concrete. The cross-wall construction in Alt-Erlaa, which has not yet required modernization, not only saved materials but also gives rise to adaptable footprints. It is the great density and number of inhabitants that first made it possible to finance the many communal zones, accessible free of charge, and the leisure-time offerings – and fill them with life. Glück himself said in an interview that he always calculated things very carefully and attempted to convince developers to invest these savings in long-term extras for the inhabitants. After all, he continued, it pays off, for example by reducing tenant fluctuation as the pleasant facilities and the sense of community create quality of life and also because people then take care to keep things in good shape. Glück readily concedes that he did not always succeed. Today, architects and developers do not seem to talk much about communal zones and living requirements. Instead, the same old mistakes are made with blocks that run through to the sidewalk as was in the case in the overhasty planning of the 1970s and 1980s, with the standalones, the lifeless greenery where it was forbidden to kick a ball around, and which are now rightly derided as ghettos. Fuddy-duddy ornamental plasterwork or colored façades don’t go very far here. 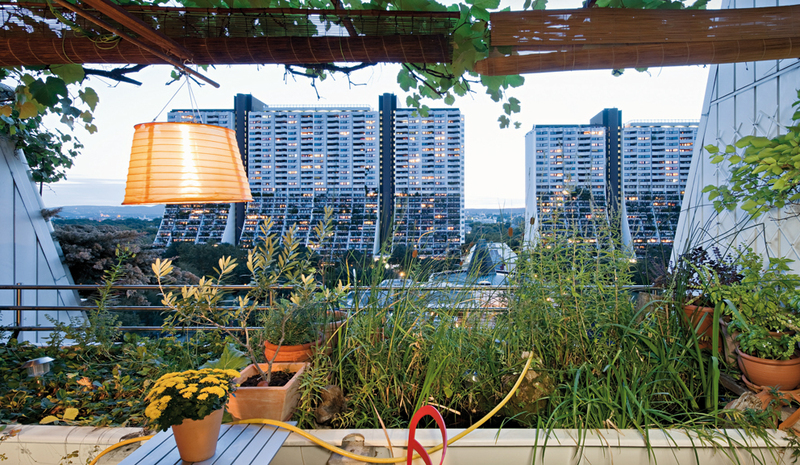 It is high time to ask about urban residential models that appeal to inhabitants, not investors, and to remember functioning structures, such as those Harry Glück created. Friday, February 12, 2016, 7 p.m.